Apparently Disney’s upcoming live-action (musical!) Aladdin remake uses brownface: Last Sunday, British newspaper The Sunday Times ran a story with the headline “Genie, brown up some extras for Aladdin” in reference to the film. In the article, 32-year-old actor Kaushal Odedra, who worked as a stand-in for one of the main characters last year, said he saw 20 “very fair-skinned” actors on-set waiting to have their skin darkened. Odedra posited that this was done in order to make the light-skinned actors look more Middle Eastern. Hmm, that’s probably something Disney would care about, given audience fears that it was going to screw up and white-wash the remake. I’m going to go out on a limb here and say this fiasco was entirely avoidable. 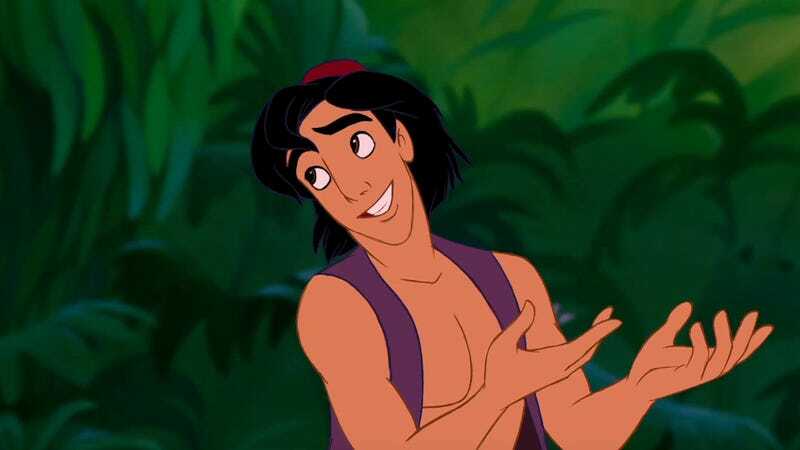 After facing criticism for not hiring Arab actors for the remake’s lead roles, Disney changed their tune and hired brown people: Naomi Scott (who’s British-Indian) plays Jasmine, Mena Massoud (who’s Canadian and Egyptian-born) plays Aladdin, and Navid Negahban (whose Iranian-American) plays the Sultan. They’re a part of one of Disney’s most diverse casts and that rules, but like I said: Disney hired hundreds of brown people to fill background roles, but couldn’t find 100 more who were skilled in special effects, doing stunts, and handling camels? What? Maybe we should have expected Disney to cut corners somewhere, since they also cast a white guy as Prince Anders, a character which wasn’t even in the original Disney movie. Oh well.